Swiss timing is a culture, a way of life. When public transport runs a minute late the locals look at their watch, squint to look down the track or road and then roll their eyes in disbelief. There is an order and a lifestyle finely tuned to run on time in a country where the air is clean, the chocolate divine and where young school children go to school with their friends and not a parent in sight. 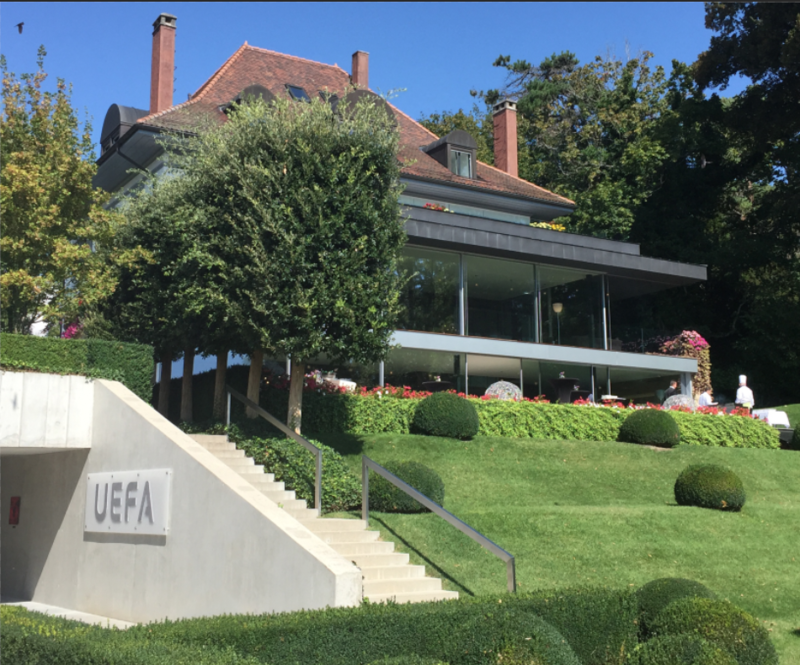 UEFA has it’s HQ overlooking Lake Geneva. The modern, clean lines of architecture are slick and functional. Walls are adorned with tributes to great football players and behind glass is the boot that Messi kisses after scoring a goal with his head against Manchester United in the 2009 UCL final and then there is the ball that Zidane scored that crazy volley with in the 2002 final against Bayer Leverkusen. As a shrine to the ‘beautiful game’ the building has gems in most corridors that frequently stop us in our stride. The Opus team was here to try and obtain as many portraits of Europe’s leading coaches for the forth coming UEFA Champions League Opus. The coaches voluntarily attend this forum to discuss the game with their peers behind closed doors… no doubt the hottest topic dividing opinion on the agenda is VAR! Coaches coming together like this is few and far between and we could not miss the opportunity to capture some of the attendees. We were told the night before that today was going to be a waiting game. Schedules are tight and often when the coaches get talking they skip their breaks to express an opinion. The coaches aren’t attending the event today to be photographed or interviewed, that usually happens on UCL media days later on in the season, but we are told a few who have time will definitely oblige. It’s not even clear who may or may not attend today. Some coaches like Arsène Wenger confirmed his attendance days ago but other coaches will be swayed by the past weekend’s results ahead of the international break. A media room has been kept for us to set up in. The only room between us and the coaches is a suite filled with headphones where the translators will sit to do their job today. 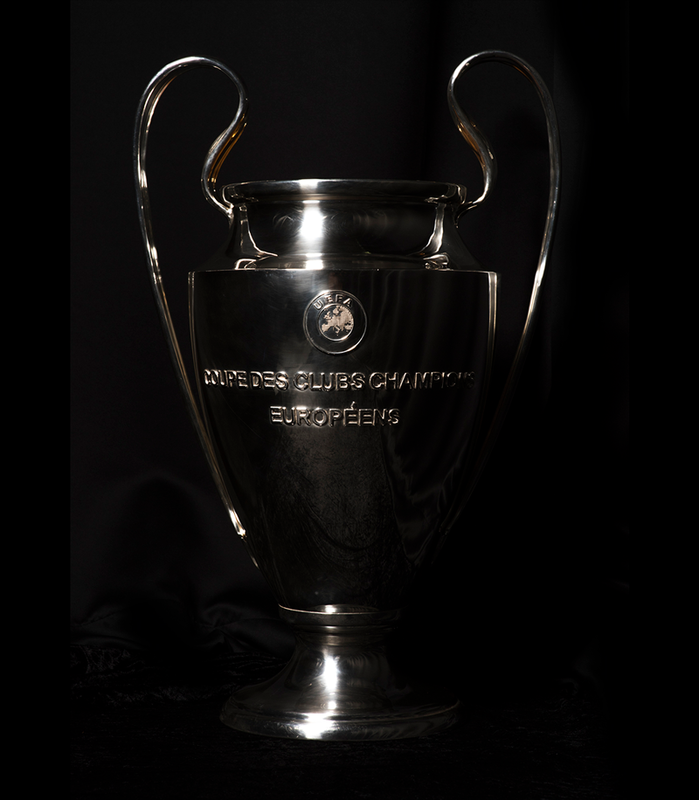 It’s nearing 9am when we start setting up and told that Patrick will be bringing the actual UCL trophy for us to photograph. Patrick’s the man who brings out the trophy at every final and when he arrives we are also informed that only those who have won the trophy can officially be photographed with it… bang goes my Facebook post for the day! The trophy is a beast, it’s large, has presence and quite heavy. 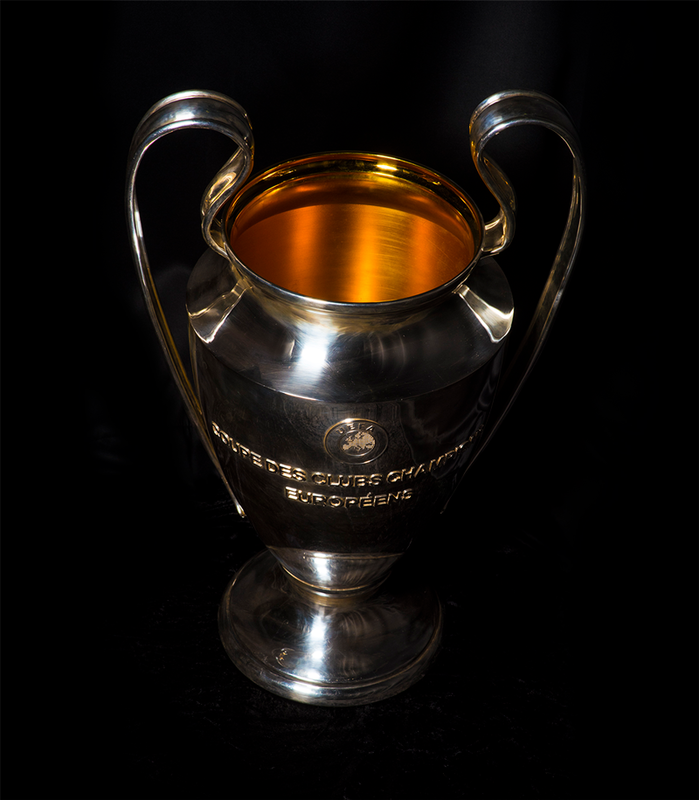 Not as heavy as the Europa League Trophy we are told but still heavy. Immediatley start smiling when I see the preview on the camera back. 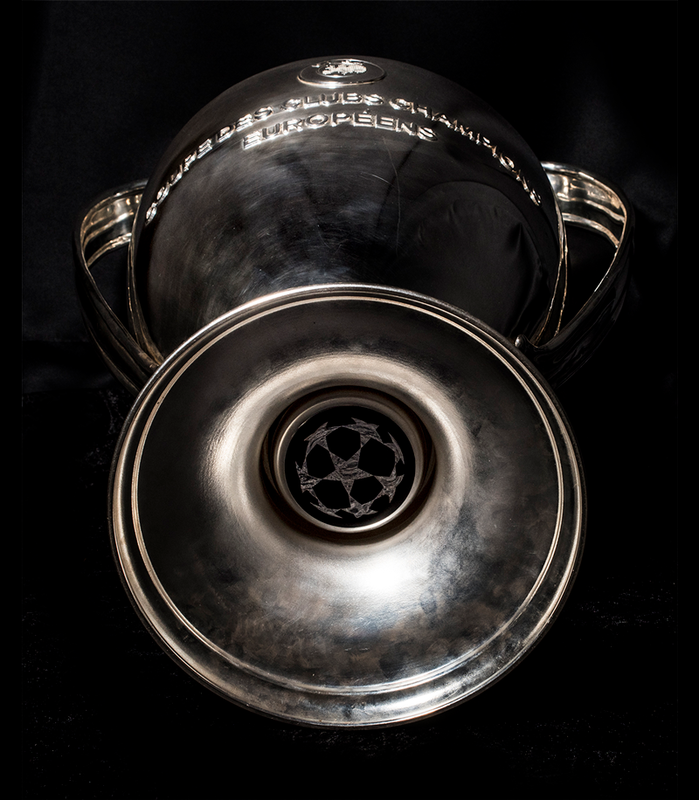 I don’t think I have ever seen the trophy captured in this way and my colleagues from UEFA agree. Normally it’s always seen in stadium lighting and this representation was worth doing because it is different. We recreate our space so we are fit for capturing humans once again. Thomas Tuchel (PSG Coach) and Sérgio Conceição (Porto Coach) have agreed to be photographed before the meeting begins at 1.30pm. We go to grab a bite at Nyon Tennis Club across the road and return to find ourselves waiting again. Then we hear a buzz outside the room as the coaches arrive and start greeting each other. They pose for the official UEFA photographer who has them seated on leather sofas. 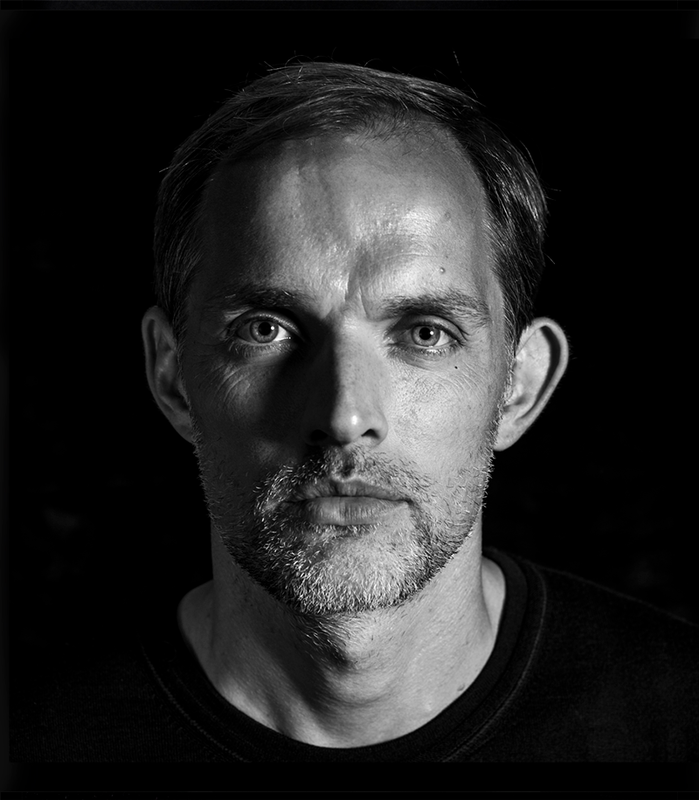 As they disperse Thomas Tuchel is directed to our studio space and we are given two minutes to capture what we need. Thomas is a natural smiler it seems and it feels a shame to ask him to give me his game face. He does, and like all professional athletes can change to a serious look within a second. We’ve hardly finished with Thomas when Sérgio Conceição steps into the room. The two men are visually different and the olive skin of the Porto coach soaks up the light from our studio lamps. 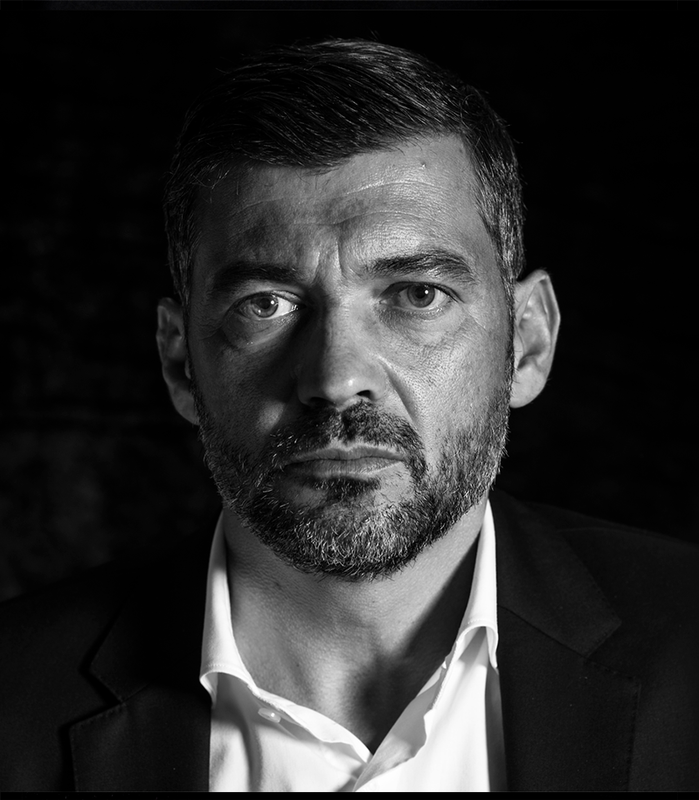 During the few fleeting moments we have with him Sérgio comes across as a more serious personality but of course this could be far from the truth. He is very willing to smile at the end for a couple of frames before being whisked off into the meeting room with the other coaches. Relieved to have started shooting the coaches I am eager to carry on but I realise that they are there for other pressing matters and the photo’s are not on their agenda. As a photographer you do get momentum and exhilarated and sometimes when you know that José Mourinho is next door you do get excited. Our UEFA hosts tell me that if we don’t get José today they’ll put us into his agenda on the UEFA media day at Old Trafford. The 4.30pm coffee break is postponed so the coaches can conclude discussions on a matter and it’s not until 5pm when we see José Mourinho leave the building in a hurry, apologising to UEFA staff that he has to rush as his car is waiting. Fifteen minutes later the coaches file out of the room to get some air and refreshments. Whilst I eagerly await to have someone chaperoned into our studio it doesn’t happen on this occasion. It’s a very short session and as the next break begins Massimiliano Allegri (Juventus coach) and Arsène Wenger are brought into us to be captured. I show Arsène a copy of his giant Polaroid photo that appears in the Arsenal Opus. I took that of him the afternoon the Arsenal team were invited to Buckingham Palace and he remembers the shoot at the Emirates Stadium immediately. With our flight departing at 9.30pm we know that the 7.44pm train from Nyon to Geneva airport will give us ample time to get our equipment into the hold. I’m now constantly looking at my watch to see how long the last session will last for as we are told Carlo Ancelotti (Napoli Coach) is happy to be photographed after giving the Italian press a short interview. There are several journalists that have been promised interviews with various coaches and the UEFA staff are running around doing their best to manage expectation. It’s not long after 6pm when the translators leave their room and we realise that the meeting is over. 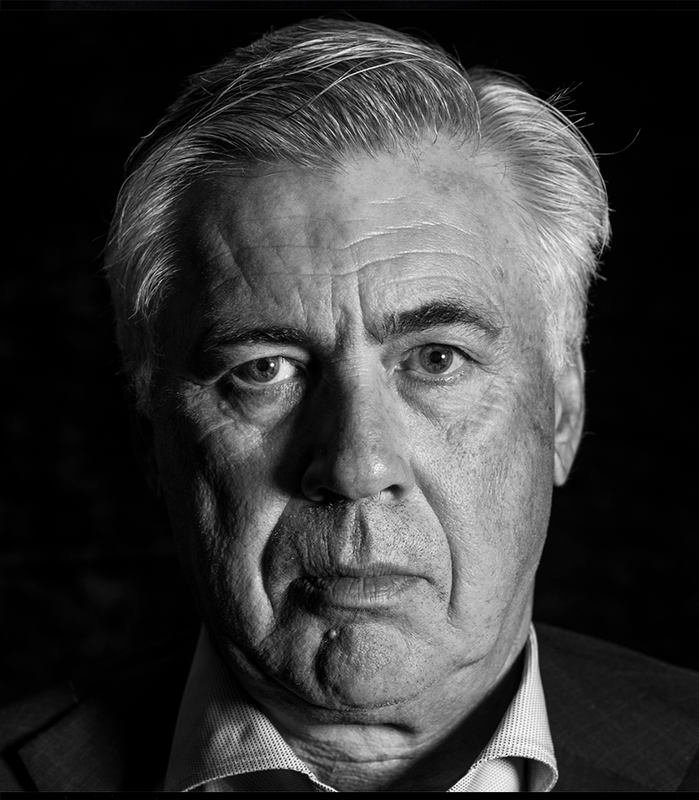 Carlo Ancelotti is taken upstairs to a quieter space for his interview and shortly after returned to us for his portrait. 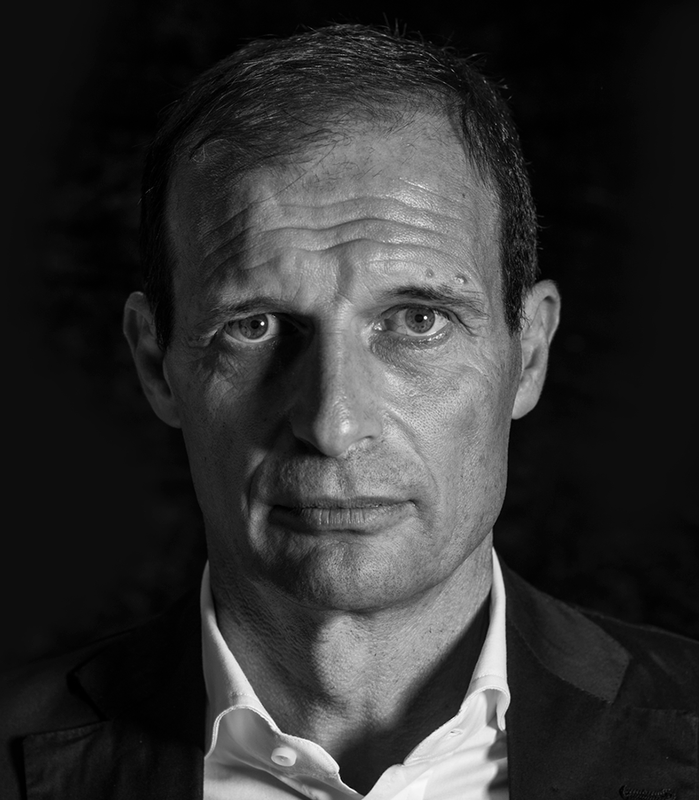 He is one of only three managers to have won the UCL three times (twice with Milan and once with Real Madrid). 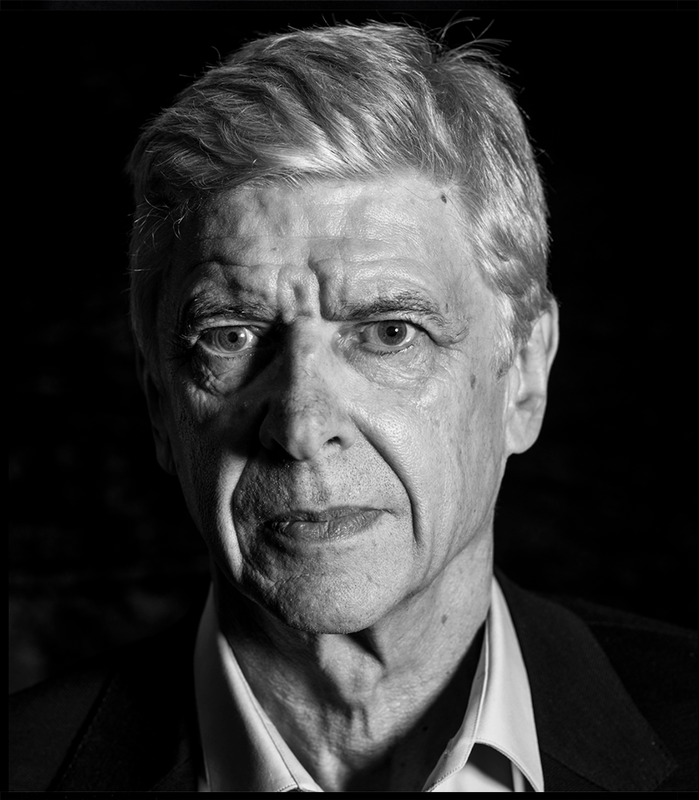 It is great to capture a man regarded as one of the best and most successful managers of all time. 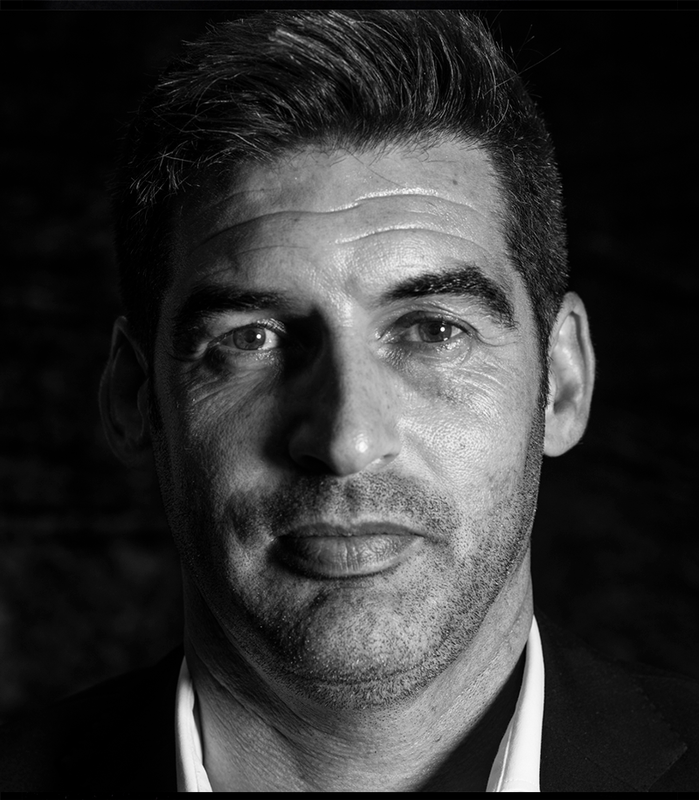 It is an added bonus to then have Paulo Fonseca (Shakhtar Donetsk Coach) walk in to be photographed before we started to break down the set. It ended up being a successful trip and forged some good relationships to help make The UEFA Champions League Opus something truly amazing.